With over 20 years experience in career management and workforce development, Marsha Leap started Leap Ahead Professional Development to help professional level clients develop to their fullest career potential. Marsha completed her doctorate degree in Organizational Leadership with a cognate in Human Resource Development to compliment her Masters in counseling with an emphasis in career development/employee counseling. 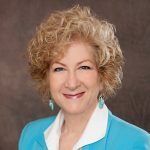 Marsha is a Florida Certified Workforce Professional and a Certified Job & Career Transition Coach, and holds certifications in the use of the Myers Briggs Type Indicator and the Strong Interest Inventory. She is in the process of becoming a Certified Professional Resume Writer (CPRW) and a Certified Employment Interview Professional (CEIP). Prior to branching out on her own, Marsha served on the nationally acclaimed Polk Works WorkForce 2020 Business Services team for five years and as the Director of the Florida Southern College career center for 15 years. Marsha’s knowledge of businesses’ needs and her background in career development give Marsha the right combination of skills and experience to take clients to their next career level.